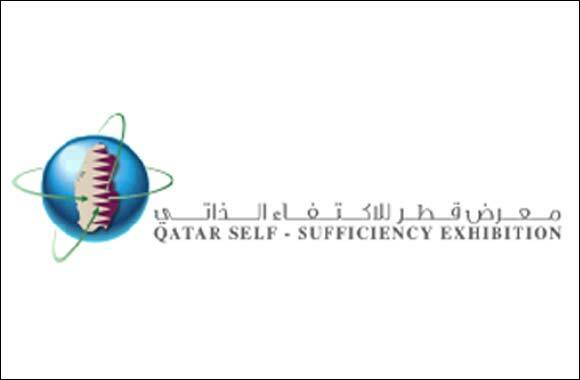 Doha, Qatar - 24 December 2017: - The organisers of Qatar Self Sufficiency Exhibition, has announced that the Ministry of Economy and Commerce is the Main Partner in the exhibition which is considered a first-of-its-kind event in Qatar and the region. The exhibition is recognised as a key driver in Qatar’s goal for a diverse, sustainable economy based on knowledge and innovation. With the country pressing on towards the National Vision 2030 plan, under the bold and visionary leadership of his Highness Sheikh Tamim bin Hamad Al Thani, the Emir of Qatar, new opportunities continue to open for local and international business leaders to contribute towards a dynamic, self-sufficient national economy. With self-sufficiency a key pillar in the long-term strategy, there is a growing need for new lines of production within the country that will help facilitate a sustainable economy of the future. The Qatar Self Sufficiency Exhibition 2018 will provide a platform for the production line manufacturers and decision makers spanning the full spectrum of sectors, to demonstrate the latest solutions and services to support the country’s progressive diversification strategy, improve production line efficiencies and operations to demonstrate how they are helping to shape the country’s future. The Ministry of Economy and Commerce has assured that its participation in the inaugural edition of Qatar Self Sufficiency Exhibition aligns with its endeavors to support Qatar’s goal of achieving self-sufficiency. The Ministry added that Qatar has implemented strategies and plans to reach its goal by creating partnerships between the public and private sector. It supports local producers and encourages the private sector to develop projects that benefit the Qatari economy. The Ministry also facilitates the process for establishing new companies, including issuing permits to practice any trade and firmly believes the Qatar Self Sufficiency Exhibition constitutes an important initiative to reinforce partnerships and cooperation between industries. “There are many opportunities available for businesses to contribute to the bold strategy of the State of Qatar. Through the exhibition we want to attract the most important manufacturers of production lines from local, regional and international markets, that serve various sectors, including food industry, pharmaceutical industry, agriculture, as well as environmental issues such as recycling,” said Abdulrahman Saleh Al Obaidly, Chairman of HiSky for Tourism and Exhibitions, organisers of the Qatar Self Sufficiency Exhibition 2018. The Qatar Self Sufficiency Exhibition 2018, a first for the region, will host 120 leading exhibitors from countries such as Kuwait, Lebanon, UK, Turkey, Spain, USA, France, Italy, Germany, Switzerland, Iran, China and more, providing them with a chance to showcase their latest products and solutions to service Qatar’s needs and facilitate them with greater, easier access and crucial facetime with their target audience.